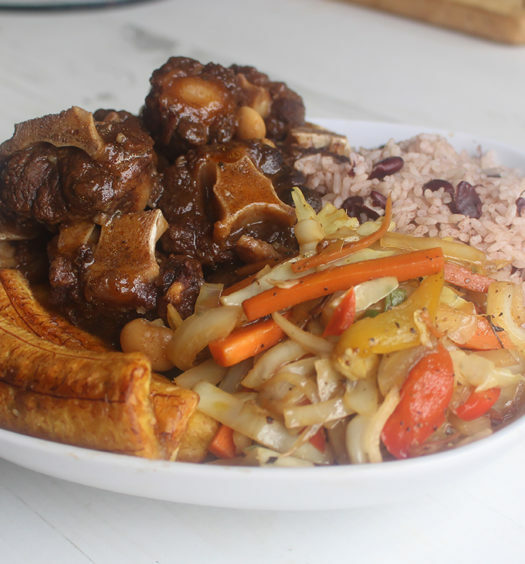 Traditional Jamaican breakfast served on a sunday morning. 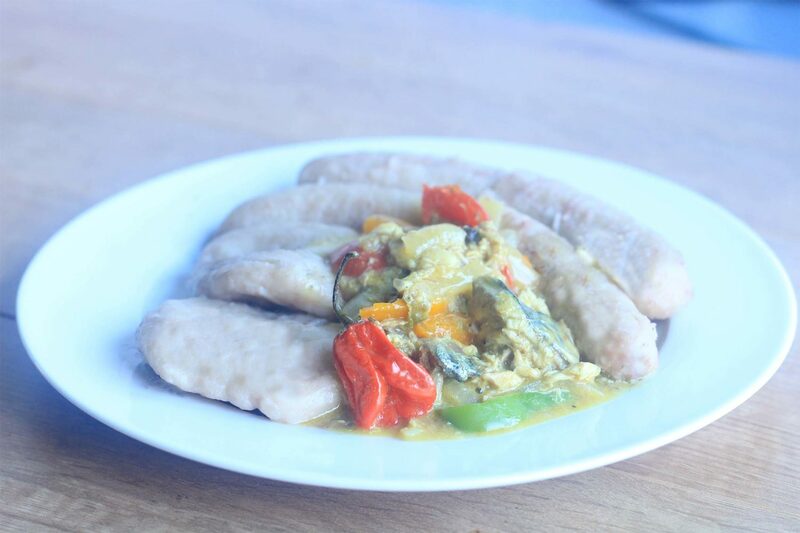 A very filling breakfast of well seasoned mackerel served with boiled dumplings and green banana. 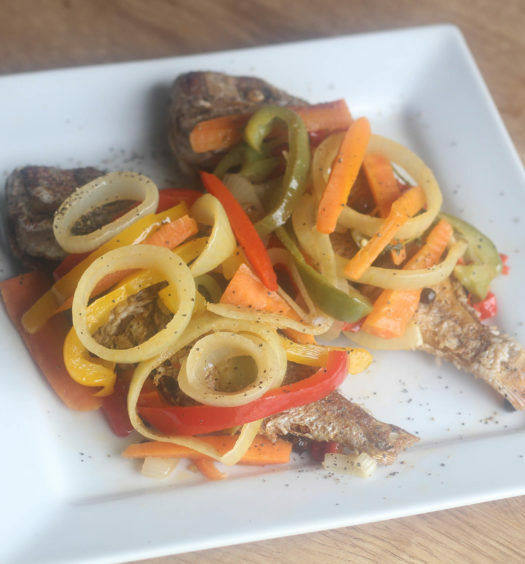 Start your day of right with this filling breakfast Jamaican style! Propa yard food dis! Let the Mackerel soak in cold water overnight or leave in boiling water for 30 minutes and drain. Then add 1 chopped spring onion. 1 medium chopped onion, 3 garlic cloves and sortey for 3 minutes. Then add 1 whole scotch bonnet, 1 tsp thyme, 1tsp, fish seasoning, 1 tsp, curry powder and cook for another 10 minutes. Serve hot with boiled green bananas and boiled dumplings. To make dumplings mix 2 cups of plain 1tsp of sugar and gradually add 1 cup of water and mix together to form a dough. Roll dough into a circle shape and place in boiling water for 20 mins.